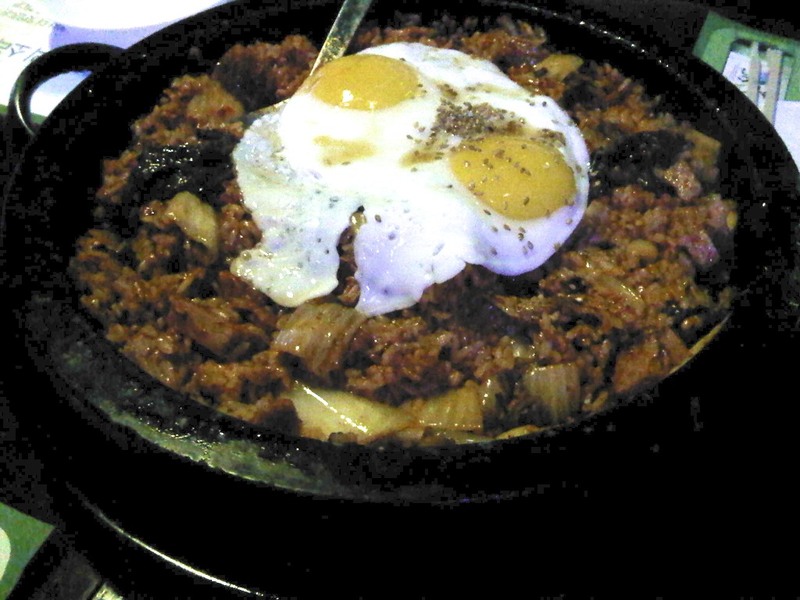 According to my friend Becky, Yeowoosai has the best kimchi fried rice in Chicago. I've been a few times before with other friends but didn't try the fried rice so we took Mary and Jeanie before they left. After a long weekend of midwestern treats, I think they were all craving some spicy, Korean eats. We ordered stew and this kimchi fried rice to share amongst the four of us and it was the perfect amount of food. We loved that the rice came in a stone pot so you get those crispy edges as it continues to cook the rice. They are a Korean pub/restaurant so they serve beer and soju there as well. It's a great place to stop by if you have late night cravings. thumbs up on the yogurt soju! !